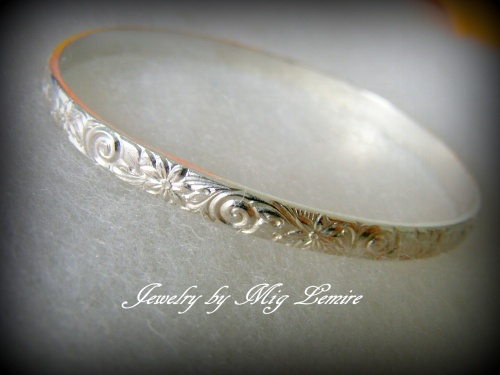 This bangle bracelet has a pretty design on it and yet its classic and simple. Sterling silver and can fit average wrist. 7 to 7 1/2.